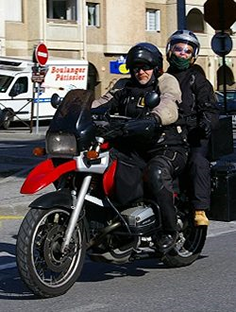 The European Commission has made public its proposal for new regulations on the Approval and Market Surveillance of Two – or Three – Wheel Vehicles, on the 4th October, aimed to regulate emissions and the safety of motorcycles. The EU Commission (DG Enterprise) has proposed the mandatory fitting of advanced braking systems on new motorcycles, medium and high performance motorcycles and automatic headlamp-on switching for all motorcycles. The only thing that they have been convinced to “drop” from the initial proposals, that we included in our responses, is to the option for Member States to mandate motorcycles to be limited to a maximum power of 74 kW (the 100bhp limit). This “Anti-Tampering” of the powertrain states that L-category vehicles shall be equipped with designated measures to prevent tampering which could extend to mean the engine management system, the exhaust, the transmission, the chain drive, the sprockets and the tyres, and those parts that can be replaced will be EU Type Approved. A snippet from the regulation suggests that, all vehicles (i.e. all motorcycles) with electronic engine management systems, for which the current anti-tampering measures enforced are ineffective, will be covered by the new Regulation in addition to the mopeds and light motorcycles currently included. That means no …………modifications allowed. However all is not lost (not yet anyway), we have learnt that DG Enterprise are going to carry out a study to look at positive modifications versus tampering. In fact when we commented on the lack of solid data to support the case for anti-tampering measures back in January, we were told that they would consider a study. 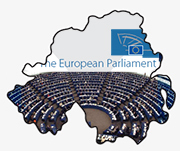 We also sent our response to the EU Parliament Internal Market Committee and received positive feedback from the Chair. This is where the proposals will go for comments. The regulation proposals have been distributed to the European Parliament and Council, which is in fact the starting point of the Codecision process. At the same time DG Enterprise will be working on three delegated acts, which will contain the technical provisions like test methods and other detailed, technical requirements and one implementing measure which will contain the administrative provisions. These 4 regulations are subject to comitology. i.e. horse trading with the Commission. Also there will be more meetings – next week and in December amongst the “stakeholders”to discuss these proposals. What we will suggest in response to the proposals regarding “tampering” is the importance of development and innovation of individual engineers which is outside the scope of small batch manufacturers – which over the years have fed into the industry. What we would suggest and infact will suggest is the value of development and innovation of individual engineers which is outside the scope of small batch manufacturers – which over the years have fed into the industry. The spirit of individualism must not be stifled by big R&D companies and obsessive target setters. 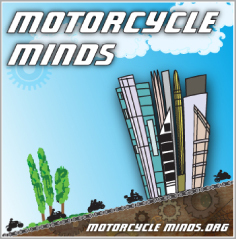 Of equal importance is our rights as individual motorcyclists to be able to modify – customise – maintain our motorcycles without unnecessary legislative restrictions. We will be sharing our views with all concerned during the process. At Right To Ride we are now looking at the raft of documents as the European Commission anticipate the regulation to become first applicable as of 1 January 2013. Below are the headlines from the European Commission and others regarding regulating biking published on the 4th October 2010. 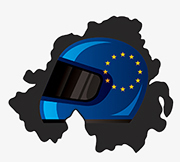 Motorcycle Action Group (MAG UK) – “The European Commission seems hell-bent on pushing through wide-ranging proposals to restrict motorcycles and what their owners can do with them through ‘Type Approval’ regulation.” Network October 2010 – Reps – Activists – Interested Parties – Newsletter. A meeting of the Working Group on “Motorcycles”/MVEG is took place in Brussels on the 21st October which saw a presentation by the EU Commission and exchange of views on the Commission proposal for a Regulation of Council and Parliament on type-approval and market surveillance of L-category vehicles. of L-category vehicles (2- or 3-wheel vehicles and quadricycles)” which was presented at the 8th International Motorcycle Conference in Cologne. “All automotive legislation should be performance-oriented, technology-neutral, and overprescriptive regulations should be avoided”. On the basis of this principle, Right to Ride opposes – Mandatory ABS and/or combination systems – Mandatory AHO (Automatic Headlights On) and restrictions (anti tampering) on positive modifications to the powertrain of motorcycles by individual motorcyclists. At Right To Ride, we believe that it is not the job of DG Enterprise and Industry to provide proposals for legislation based on so called “safety concerns”. Meanwhile we are talking to DG Enterprise and Industry so that we can participate directly in the discussions.